It must be hard to be a Pelican in a world dominated by Warriors. 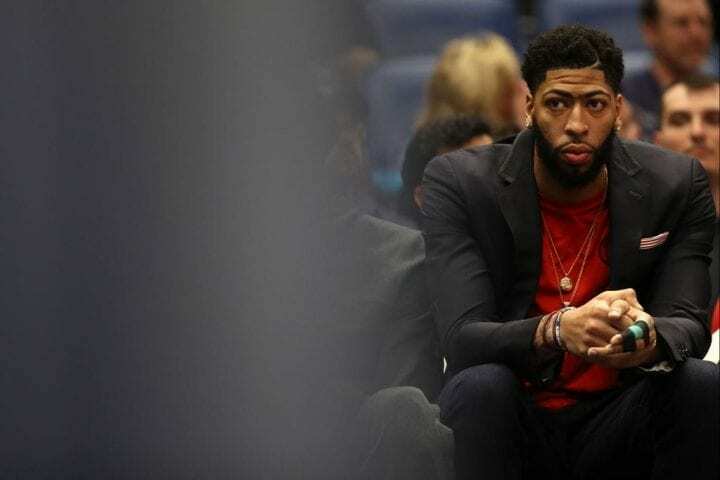 That became abundantly clear Monday when Anthony Davis, the All-NBA forward, hit the New Orleans Pelicans with an impactful one-two combination. He said there was no chance he’d consider signing a contract extension. And then he informed them he’d like to be traded as soon as possible. You can understand Davis’ point. The Pelicans, who have made the playoffs just twice in the last five years, are 22-28, 13th in the 15-team Western Conference and have lost three straight and seven of their last eight. Despite their home city, they certainly are not one of the league’s marquee franchises, sort of in the same category with the New York Knicks and Brooklyn Nets. Still, this business of holding your team hostage has become a tiresome trait among some NBA stars. You’ll recall how hard Jimmy Butler stomped his feet trying to convince the Memphis Grizzlies to deal him. They finally complied in November and he’s now playing in Philadelphia. Davis is pulling the same stunt, essentially giving the team that drafted him first overall in 2012 (when they were known as the Hornets) no alternative but to deal its only relevant star, unless, of course, Julius Randle, Jrue Holiday or Jhalil Okafor move your needle. The complicating factor is Davis, already a five-time All-Star, will not become a free agent until 2020, so there is really no rush for New Orleans to anything, certainly not before the Feb. 7 trade deadline. Davis wants out pretty badly. The Pelicans have known if for a long time, even after they swept Portland in the first round of last year’s playoffs. And here’s why: He is eligible to sign a five-year, $240 supermax contract extension after this season and still become a free agent. Even though he is just 25, he feels he’s wasting his life in New Orleans. And he’s tired of waiting. He wants out now. What this means, of course, is the Pelicans are convinced Davis has received subtle hints from friends about how much they want to play with him. The Lakers are on top of that list. The hot rumor is Davis intends to leave any team that might acquire him after next season to become a free agent – unless it’s the Lakers. Then he’d stay and play with Lebron James and whomever else The King can lure to Hollywood. 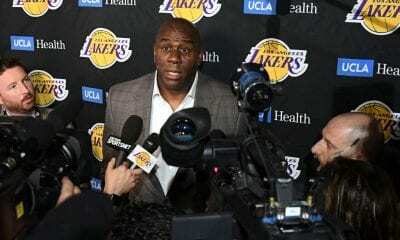 The NBA is likely hip to this and poised to run the press because of the extraordinary circumstances – the NBA’s collective bargaining agreement prohibits players or agents from doing precisely what Davis and Paul have done. Davis is already in a little trouble. 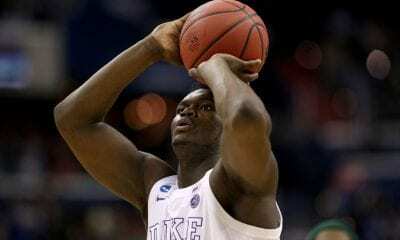 The NBA is within its rights to fine him because of his admission. So now, this situation has every chance to become untenable unless the Pelicans cave. Having an uninterested superstar sulking and crushing whatever team chemistry remains at this point could be toxic. 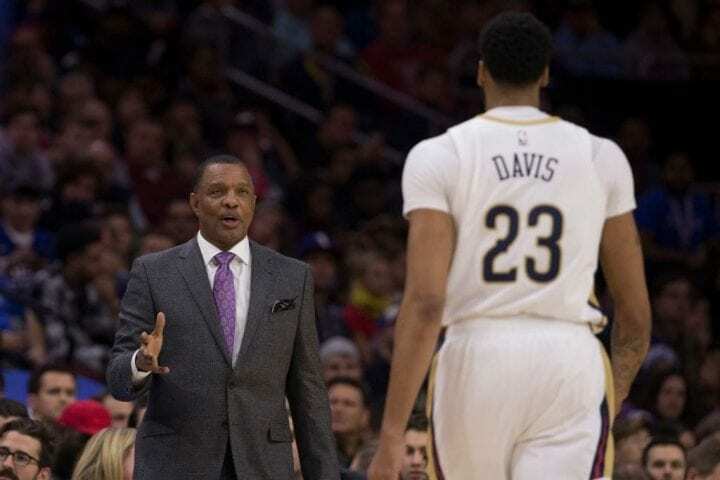 New Orleans coach Alvin Gentry said Monday he’d spoken to Davis who promised him he’d finish out this season. There was no mention of what he might do next year if he was not traded. There is no doubt Davis has tremendous marketability. He has been, and likely will continue to be, a dominating post player, something you don’t see a lot of anymore in the NBA. It goes without saying that he leads the Pelicans in scoring (29.3) and rebounding (13.3). He has scored over 30 points 12 times, 40 or more on seven occasions. He is currently out with a volar plate avulsion fracture of his left index finger sustained during a 128-112 loss to Portland a little over two weeks ago. Davis has also missed time this season with ankle and hip injuries. Whoever gets Davis will be in position to become the league’s next dominating team, especially if it’s a program that already has a strong, young core. And what’s even more interesting is noting how many new teams have suddenly introduced themselves this season as contenders – Milwaukee, Denver, Portland and Philadelphia, to name a few. 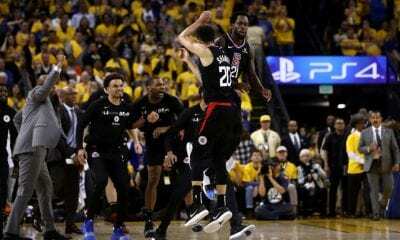 If they are willing to give up what it will take to get Davis, and pay him what is rightfully his to make, this could be like Kevin Durant going to Golden State or James hopscotching his way to Miami, then Cleveland and now to LaLa Land. 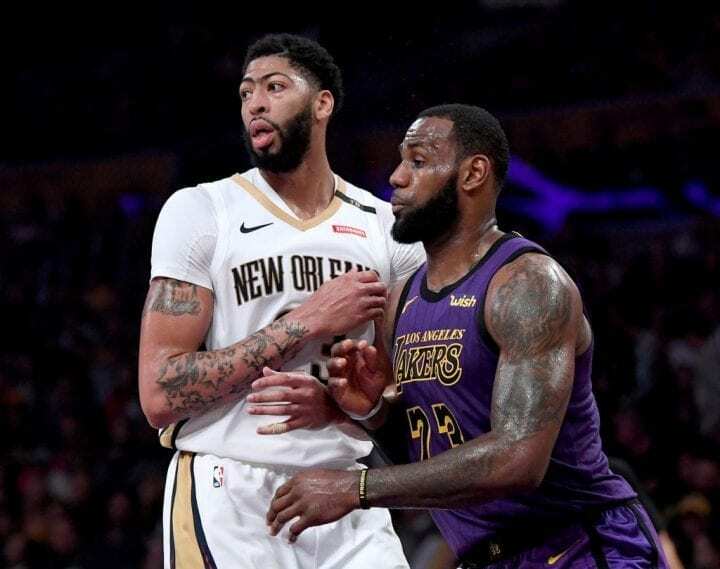 If the interest from the Lakers is true – and no one is denying it – you can expect them to cobble together a tasty package the Pelicans can put in their gular like a fish in shallow water. Might that include a gaggle of draft picks and some combination of young stars like Lonzo Ball, Brandon Ingram and Kyle Kuzma? One would think yes. The Boston Celtics are also considered a possible landing spot. But there are complicating factors requiring a Masters degree in league rules to understand. The easiest way to explain it is, if the Celtics want Davis they’ll need to wait until July 1 when Kyrie Irving becomes a free agent, or earlier if Boston deals Irving before then. It will be interesting to see if the Pelicans submit to the pressure. At this point, it seems like the only logical thing to do.